Montana’s two U.S. 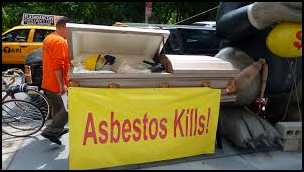 Senators Jon Tester and Steven Daines highlighted “Asbestos Awareness Week.” Their article appeared April 3rd in Libby, Montana’s newspaper, The Western News, especially honoring the many people who are ill and have passed away painfully suffering from various illnesses due to asbestos exposure. The manufacture, importation, processing and distribution in commerce of these products, as well as some others not listed, are not banned (in the U. S). In order for “Asbestos Awareness Week” to be truly effective, our senators need to do their homework—and then join Washington State’s U.S. Senator Patty Murray from Washington State and others in getting asbestos banned again—permanently–so others do not go through the anguish and pain that Lincoln County residents have endured for most of the past century. 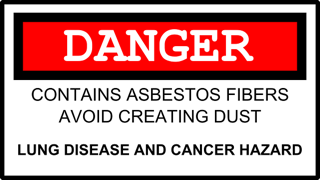 There is too much misinformation out there about asbestos. Libby cannot have endured all it has, lost so many people over so many years, to have the rest of the country thinking that America is safe from asbestos illnesses and deaths. Libby’s cleanup efforts are a wonderful thing. People can again feel safe here, come and enjoy the beautiful lakes, rivers, forests and big blue skies in the most beautiful place I have ever known. In the meantime, the rest of America cannot continue being exposed where they live, to products used in automobiles and construction. These tainted products may very well be marketed in Libby as we speak—and that is more than just unfair. It is criminal. 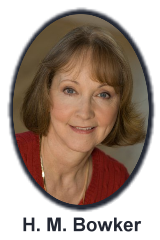 Author of mystery novel I Can’t Breathe!